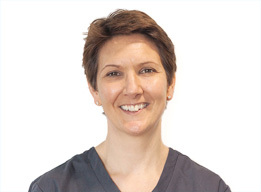 Sally qualified from Leeds University in 1993 and has spent most of her career working as a general dental practitioner. She joined us in 2003 after gaining experience in various practices in the UK and Australia. Sally works in both the Stratford and Wellesbourne practices. Sally’s caring and considerate nature ensures patients are at ease and pain free throughout treatment. Outside dentistry Sally is a keen runner and cyclist.